One of the first female agents to open a real estate agency in Mt Barker, Kimberley Shorland achieved phenomenal success through persistence, honesty and local knowledge. She has a strong background in sales, marketing, and public relations and holds a passion for the industry that is reflected within her Agency which is managed alongside her husband Trent. A professional whose commitment ensures her Team receives a high level of repeat business, Kim is attentive to both Staff and Client needs in her new role as Administration Co-ordinator. Her accurate attention to detail and understanding of market conditions enables her Staff and their Clients to receive first hand assistance when presenting and marketing a property to assure an excellent result. Raising a family in the area with her husband and business partner, Trent Shorland, Kim is heavily involved in the local community and understands how important quality infrastructure is to families, such as the excellent selection of schools within the area. 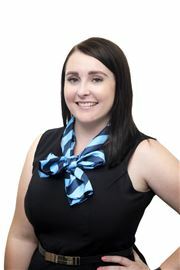 Excited by the growth of their Mt Barker office, Kim is committed to exceeding expectations and setting new benchmarks. 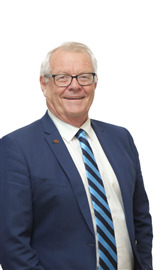 As a Director of the Mt Barker Real Estate Agency and heading the Property Management division, Trent has lived his entire life in the area in which he specialises, Trent Shorland brings a uniquely personal perspective to clients in the Hahndorf, Mt Barker and surrounding areas which make up a large part of the Adelaide Hills. Trent’s enthusiasm for the area and a wealth of local knowledge is of tremendous value to his customers. “It’s the quality of life here that appeals to people as well as a great community spirit,” says Trent. “And it’s a lifestyle I can identify with because I live where they do.” In fact, Trent thrives on the responsibility of achieving exceptional results for the local community as well as in his real estate business, and considers overcoming market challenges as one of the most rewarding aspects of his career. “There will always be challenges,” he says. “But that makes the outcome all the more satisfying and it’s immensely rewarding to be part of a process that helps people achieve their goal.” Trent’s friendly, genuine persona is matched by a determination to deliver exceptional quality service, while his ethical approach and excellent negotiation skills inspire clients with confidence and remove any trepidation when it comes to entrusting Trent with the sale or purchase of their most treasured asset. Trent Shorland is committed to ongoing industry training and self-development, and is a strong believer of core values and market leadership within his Team. “I’m a firm believer that attention to the smaller things often has the biggest impact on the final outcome,” says Trent. It’s a philosophy that’s provided a platform where Trent’s outstanding results speak for themselves. 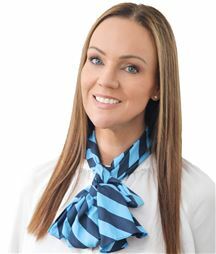 Meet Grace, a Sales Associate with a true passion for property and helping her clients achieve their real estate goals, whether it is buying, selling or investing. Relocating to the Adelaide Hills for work and play was a natural choice for Grace, having had horses her whole life, she appreciates and relishes in what the Hills lifestyle is all about and thrives on the opportunity to help others realise their very own Hills dream. Having started her real estate career in a support role, Grace appreciates that communication and keeping her clients up to date every step of the way is the key to a successful outcome for all parties and ensures a world class real estate experience for the vendor and purchaser. It’s her genuine care and commitment to her client’s goals, empathetic approach to each transaction and absolute drive to achieving the best outcome that makes Grace and obvious choice when it comes to choosing a Sales Representative to achieve your property goals. Jo-Ann has been raised in a real estate family, with all members of her family achieving their sales license. Jo-Ann’s professional, polite, friendly deposition gets right to the heart of what you want. Her aim is to provide the service you need and to ensure client satisfaction. Jo-Ann has spent several years in Property Management, tending to hundreds of different properties. She is alert to both people and property needs and understands that keeping a property well maintained, maintains the value of the property. Finding the right property for her clients is a major goal for Jo-Ann. Having travelled extensively overseas, Jo-Ann has traversed over 36 countries, observing diverse cultures and appreciating the many unique architectural styles. Married to a builder and a partner in their business for over 15 years, her knowledge of timbers house styles and market trends is extensive. Having been involved with design, building and real estate for many years, she offers a sea of ideas. At the local Mount Barker Tafe, Jo-Ann completed a Certificate in Horticulture, achieving a distinction in Landscape Design. Familiar with both indigenous and exotic plants, she loves gardening. A local lady, she knows where to shop, where the local schools, antique shops, hardware stores, restaurants and entertainment can be found. Well versed with what is happening in the community, she is involved with the local sports clubs and has assisted with many school activities, supporting her local community. Jo-Ann is highly motivated, enthusiastic, considerate of your goals, she is ready to listen to you, to provide the customer service you desire. 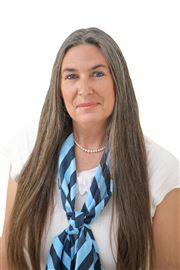 Talk to Jo-Ann, she will get right to the heart of what you are looking for and tend to you in a professional manner. Kerry lives locally in Lenswood with her husband Andrew and daughters Polly and Georgia. Kerry and Andrew have travelled the world together and couldn't be happier settling in the picturesque Adelaide Hills in between Oakbank and Lenswood. They have enjoyed the challenges of renovating their home and this is finally nearing completion. 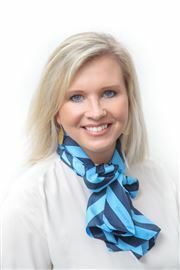 Kerry has worked in Real Estate, selling properties throughout the Hills since 2001. Her enthusiasm and willingness to go the 'extra mile' has ensured that her customers become valued clients and friends. Residing in the Hills for his entire life, meet Sam, who’s not your typical real estate agent with a strong passion for helping people achieve their dreams. Formidable marketing skills, an impeccable work ethic and a talent for identifying his clients’ needs have set Sam on an impressive career trajectory selling rural and lifestyle properties across the beautiful Adelaide Hills, with a particular focus on Hahndorf. And six years on, his drive and enthusiasm are stronger than ever. 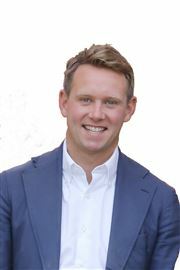 Following a successful career in the highly competitive wine industry that saw him working overseas and achieving top level results, Sam returned home to study a Master of Business (Property). To work as a valuer was his end game, but real estate had other plans. And so, he settled into sales as quickly and naturally as he settled his young family into the Stirling community. Because there’s nothing like first-hand local knowledge and shared stories to put you on the same page as your clients. Sam is a passionate promoter of Hills living, citing the incomparable appeal of a country lifestyle within easy commute of the CBD, and the area’s solid track record for growth. Radiating a refreshing modesty that cloaks his many talents, Sam nevertheless recognizes the importance of having complete confidence in your choice of agent. Run your eye over the eight pages of reviews on ratemyagent.com.au and you’ll soon see that knowing your market, keeping you in the loop and negotiating happy outcomes are all in a day’s work for this seasoned professional. As for results, they speak for themselves. Working with a talented team is a bonus, a team that shares Sam’s vision for a better real estate experience and ‘gets digital’, creating effective marketing strategies that are right for your home. Motivated to excel, Sam awaits your pleasure. An accomplished real estate agent with unrivalled knowledge of the local market, Sharon Parsons enjoys an excellent reputation and is a great asset to the Harcourts Adelaide Hills team. Sharon began her Real Estate Career in January 2002 and has successfully marketed and sold properties throughout the Adelaide Hills. Real Estate is Sharon's passion. Having worked in the industry for the past 12 years, Sharon’s willingness to provide personalised service to her clients extends to buyers as well as vendors. Drawing on her own experience form buying and selling many of her own properties, Sharon knows the importance of keeping clients fully informed throughout the entire process. Receiving awards for her success in real estate is something Sharon has been accustomed to. Her first year in Sales included winning Rookie of the Year with numerous awards being won since then. Listening and taking the time to understand what her clients are really hoping to achieve is an integral reason that Sharon is so successful. A true professional, Sharon is also well regarded for her genuine character and friendly nature. Her exceptional communication skills, combined with her passion and dedication to exceed expectations sets her apart. Sharon possesses a warm and approachable manner. She is known as a great listener and always puts her clients’ needs first. Sharon has travelled extensively throughout Australia, and has chosen to make a home for herself in the Adelaide Hills and makes the most of the friendly Hills community. Having spent her life in the region, Sharon is a keen advocate of its lifestyle advantages. Her son, Max attended local schools and is currently undertaking his apprenticeship in the building industry. Joining Harcourts was a logical step for Sharon. The Harcourts Promise, advanced systems, industry leading marketing and fantastic team culture were the perfect fit to give her that special edge. 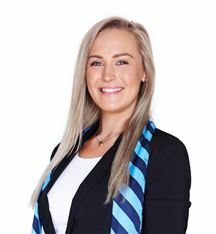 She is committed to raising the benchmark with the highly successful sales team at Harcourts Adelaide Hills. Award winning and celebrated licensed agent with over 32 years in the industry with over $450 Million Dollars in Career Sales. Sharon Reeves is a valued team member at the Harcourts Adelaide Hills office bringing with her a wealth of knowledge and experience of the area. Residing in the Adelaide Hills with her manage of animals and her beloved horses, Sharon has an innate understanding of Hills living, she finds the area to be particularly appealing for its family-friendly demographic and community spirit as well as the selection of quality restaurants, diverse schooling options and close proximity to the city. With her happy demeanour and “glass half full” attitude, Sharon has a positive spark and an insatiable desire to succeed. She draws from her dedication as a hardworking, focused and driven individual to continually achieve winning results for her buyers and sellers. Priding herself on her integrity, outstanding reputation and 100% commitment to her clients, Sharon is a highly valued team member of Harcourts Adelaide Hills, an industry brand name synonymous with her own values and professionalism, market-leading innovation and excellence in customer service. Sharon Reeves is the smart choice for a highly skilled negotiator with outstanding local market knowledge. 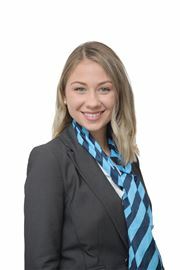 What is Ashley Passionate about in Real Estate: “Being the Best at what I do! Building a repour and respect from both tenants and landlords to provide great communication! Helping and problem solving to come out with the best possible outcome!” After having 4 years off as a Property Manager in the rural costal town of Normanville to go experience the “Mining Lifestyle” Ashley is back into real-estate, Property Management! From working in the desert of the Cooper Basin in a fast pace busy environment as a FIFO worker to now coming back home and realizing she wants to continue and further her career as a Property Manager. Ashley completed her Certificate in Property Management after she completed school and is now looking at furthering her knowledge and skills in all areas of Property Management to ensure a great experience and positive outcome for all involved. Ashley is a bubbly, positive and has a “can do” attitude! Outside of Property Management, Ashley enjoys spending time with her family, taking her dogs for a stroll, going for a horse ride and the occasional roping clinic and in winter a hit of Hockey. Friendly, approachable and down-to-earth, Kerry Holding is extremely well suited to her role with Harcourts Adelaide Hills as Business Development Manager for Property Management & Home Styling. 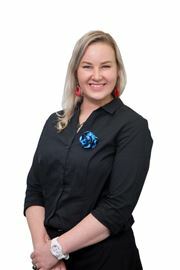 Highly skilled and with a reputation for outstanding customer care, she’s a dedicated professional with a strong real estate and customer service background. Focused, precise and organised with a diligent eye for detail, Kerry is drawn to the fast paced challenges of real estate and is driven by her determination to provide her clients with exceptional service experiences and deliver them optimum results. Kerry has always had a passion for property and been proactive in acquiring and maintaining an in-depth knowledge of the industry. Her vast skillset & exceptional interpersonal skills enable her to consistently maximise rewards for both sellers and investors alike. Olivia was born and raised in the Adelaide Hills and as such, is very happy to be applying her real estate skillset in her hometown. 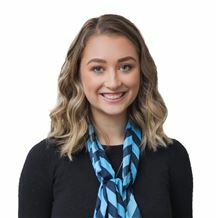 Olivia is thrilled to be a part of the Harcourts team and is looking forward to building on her knowledge and experiences within the industry. 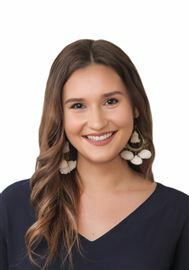 Olivia has worked for several years in Property Management, located in the heart of Adelaide and in doing so, has discovered a love for all things real estate. She has a passion for learning, a positive attitude and treats clients’ investments as her own – with care and respect. Family is a big part of Olivia’s life and she can often be found attending various sports (usually basketball) events. She also enjoys making homemade botanicals, studying psychology and learning new languages. Recently graduating with a Bachelor’s degree in Marketing and Communications, Amy is a great asset to our marketing and administration team. With a keen eye for detail it ensures the highest quality of marketing is prepared for each property. Having a strong customer service background, she delivers clients with a kind, friendly and professional experience when entering our office. Amy offers ongoing support to our exceptionally busy sales and overall team. She also assists in delivering our marketing messages to our marketplace through the use of social media, which has been vital role in our presence throughout the Adelaide Hills. Lucy is a long serving member of our team who now works part time in accounts. Best Buy in Mount Barker! Easy Living on Sims Road! Got An Eye For Potential...? A Home to Grow Into! "The Roses of Taylors Lane"
7 Acres with Water Licence!